When it comes to overlooked beers, you can file Holgate’s Mt Macedon pale ale in the same category as Bridge Road’s Beechworth pale ale. 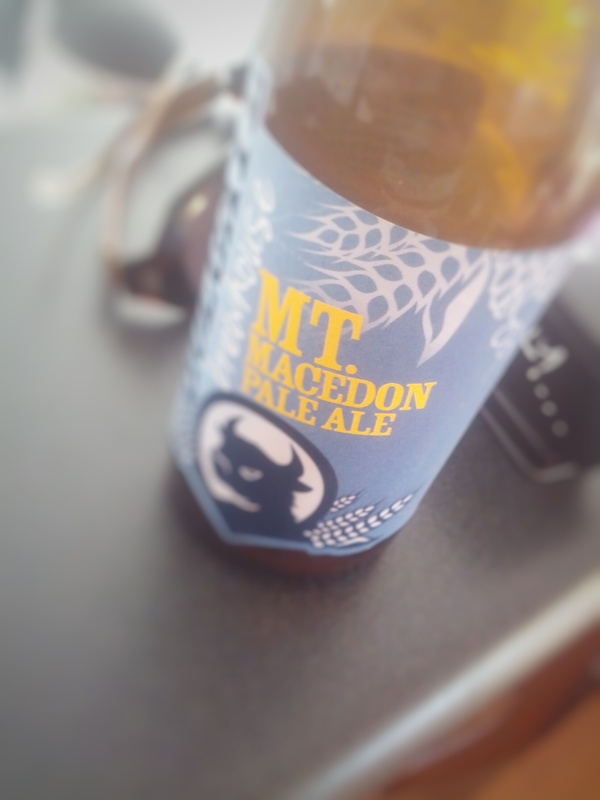 Like the Beechie, if you told me a few years ago that I would one day be able to buy a Mt Macedon in my local mega bottle shop I would not have believed you. But this month I did walk out with a bottle. And I’m so glad I did because this beer is really good. It was really good when I last had it more than two years ago. And it’s still really good now. Great sweet toffee aromas and the flavour is a mix of citrus and toffee (while I doubt I’d eat toffee and a citrus fruit together, they combine well in this beer. I’m filing this under “I really should drink this beer more often”. Thanks. Funny you should mention Angry Man. It was in the running but, as the bottle I had was a bit old, didn’t think it would be fair to include it. Mt Macedon is a prime candidate along with Beechworth to be canned. If they want to give it a bit of a polish to move more SKUs, re-inventing the packaging is usually the easiest way to go. It’d be nice to not have to fork out normal bucks and get old US beers (or Mt Goat Summer) or mega bucks to get anything else. Beechworth in cans would be very nice indeed. Really enjoying your blog. As an employee of one of the big 2, I’m stoked that you keep the politics out and let the liquid do the talking. Cheers mate, keep it up! Thanks, I consider myself a fan of beer. Don’t care who makes it, if I like it, I like it.